Learn. Learn about human rights and Cristosal’s mission. Share. Raise awareness about human rights issues by sharing your passion. Invite. 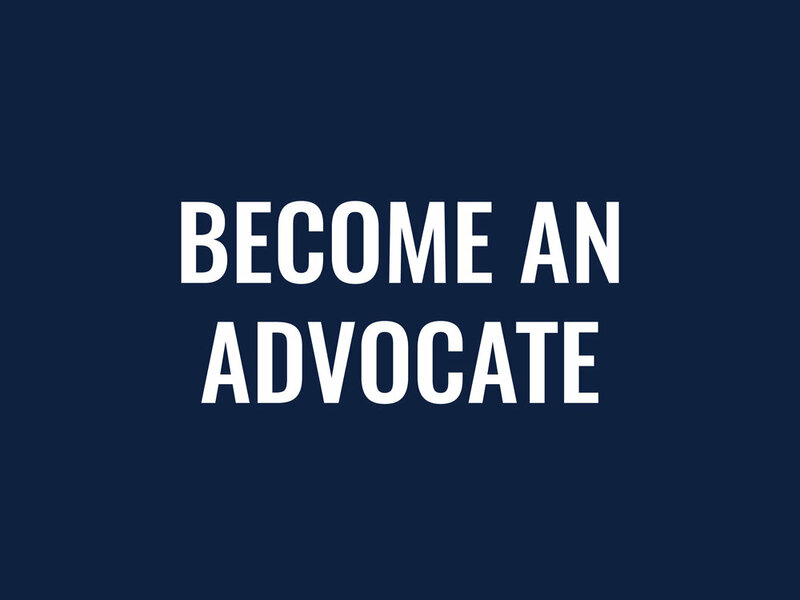 Connect others to our mission of advancing human rights. Give. Raise funds for social change by becoming a donor and inviting others to join the mission. Check out these tips or take this quiz to find out what you can do to support Cristosal's mission. Ask 1, 2, 5, or 10 friends to donate: Not as hard as you might think! Check out these tips to get started. Donate a birthday or holiday gift: Ask for a donation to Cristosal in your name, or give to Cristosal to honor someone else! Host a gathering: Download these conversation cards to help guide your discussion about Cristosal. Set up an info table: If your church, university, or workplace allows it, set out some information about Cristosal and a donation jar (download materials here to print or order from your local print shop). Make it fun: Do you love to bake, run, write, watch movies, or play an instrument? How could you connect that with telling other people about Cristosal? Share cookies & Cristosal, organize a 5k, write a blog post, have a human rights movie night, host a benefit concert… Dedicate a day to doing what you love and sharing Cristosal’s story. Thank you for choosing to make our vision of a better world a little bit brighter. Anne Thatcher (pictured here with Cristosal Executive Director Noah Bullock) weaves Cristosal's mission into her vocation as an Episcopal priest in Philadelphia, Pennsylvania. Cristosal advocates Karen and Phil Viola and Susan Copley organized this table at the Christ Church and San Marcos mission fair in Tarrytown, New York. Audrey Denney raised $15,000 with a fundraising dinner, silent auction, and dueling piano show in her hometown of Chico, California. "It's my way of doing my tiny part to make the world better," says Audrey. Lucy Bullock-Sieger, from Boston, Massachusetts, organized Cristosal's first ever Award Night & Fundraiser in honor of Congressman Jim McGovern. Gary Russell, of Phoenixville, Pennsylvania, says: "I am proud to be a supporter of Cristosal. Their victim protection and advocacy, community development and research programs are the next generation of work addressing the root causes of injustice." Joenelle Futrell (left), from Philpot, Kentucky, says: "The most compelling thing to me about Cristosal is that it isn't fluffy. 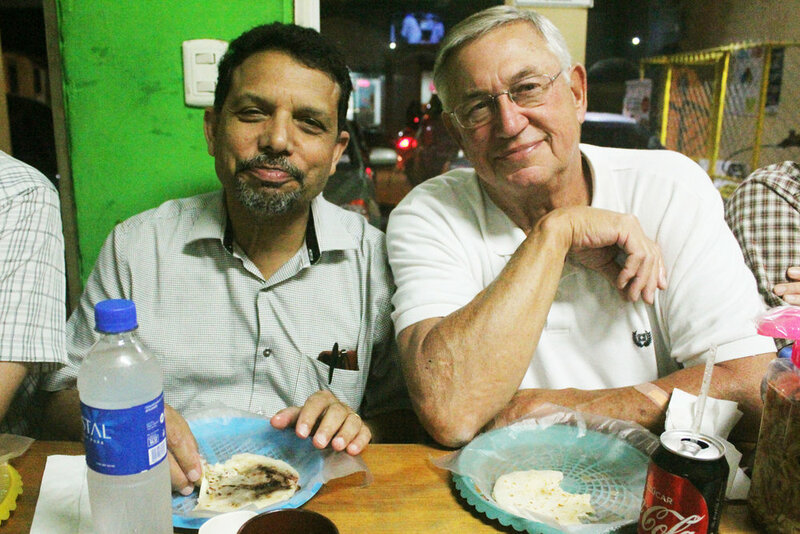 Cristosal’s approach and outreach in El Salvador seems practical, unique, and capable of having a real influence." David Starr of Santa Clara, California, raised $1,000 with a Facebook fundraiser in honor of his birthday. David says when it comes to fundraising, "You've got to ask!" George Woodward (center) served as a member of Cristosal's Board of Directors for 11 years. In 2017, the Reverend Canon George F. Woodward III Operating Fund was created to honor his years of leadership and service. The fund raised over $25,000 in its first year! When Cristosal first started looking at the problem of forced displacement by violence in El Salvador, we were warned not to touch it. It just seemed too big, too complicated. But we dove in anyway, and offered humanitarian and legal assistance to an extended family of 21 people with nowhere to go. Almost three years later, Cristosal has four programs dedicated to protecting victims of violence and displacement, repairing the lingering effects of human rights violations, building human rights environments where peace is possible, and equipping human rights leaders with knowledge and tools for action. In 2017, we won four Supreme Court cases in favor of families forcibly displaced by violence. Cristosal, with historic human rights organizations, is prosecuting the first war crime to be tried in Salvadoran courts, the El Mozote case. We are working with 10 communities to build durable solutions for forced displacement. In 2018, we will host 11 intercultural Global School seminars in San Salvador with North and Central Americans. But it all started with one choice, one action, one case. It’s easy to get overwhelmed by the problems around us. It can seem impossible to take meaningful action when each new day brings more heartbreaking headlines. The truth is, it’s always easier to destroy than it is to build. But together, one case at a time, we can build an environment where peace is possible in the Northern Triangle.